They say that art is in the eye of the beholder. In this case, eyes are also in the artwork. 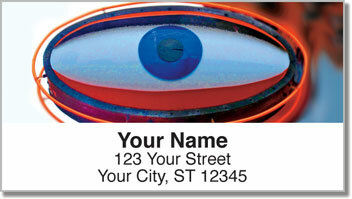 These eye-popping designs peer back at your from your letters and packages. 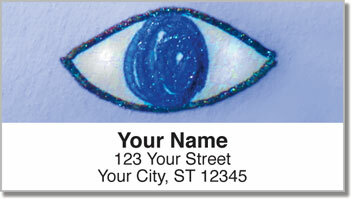 You'll find four imaginative interpretations of different eyeballs that will give your mail a unique look. 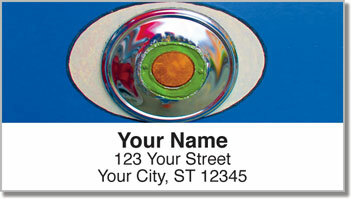 However, it's not only the appearance of these address labels that you'll find to be beautiful. Since they are printed on stock with a self-adhesive backing, all you have to do is peel and place them on all your outgoing mail. Open your eyes! This is an extra easy way to complete a tedious task. 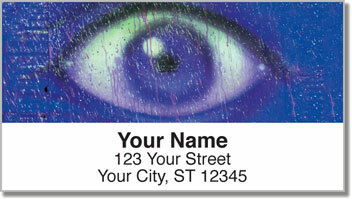 Make Eyes for Art Address Labels yours right now! Add some matching personal checks to make your order complete.